Interested in developing standards for Graphene? Request to join The Graphene Council Standards Task Force. Nearly 400 graphene producers, researchers, users and application developers indicated the types of graphene materials they are working with, the application areas they are using these materials in, and the specific material characteristics that are most important for a given application area. The British Standards Institute (BSI) publishes PAS 1201-2018 Properties of Graphene Flakes Guidance document. The PAS document, according to the BSI, provides guidance on the information to be provided by graphene producers so that prospective users of graphene flakes can have comparative information. Further from the BSI; "The number of organizations incorporating graphene into commercial applications is growing, making it important to provide users with standardization. 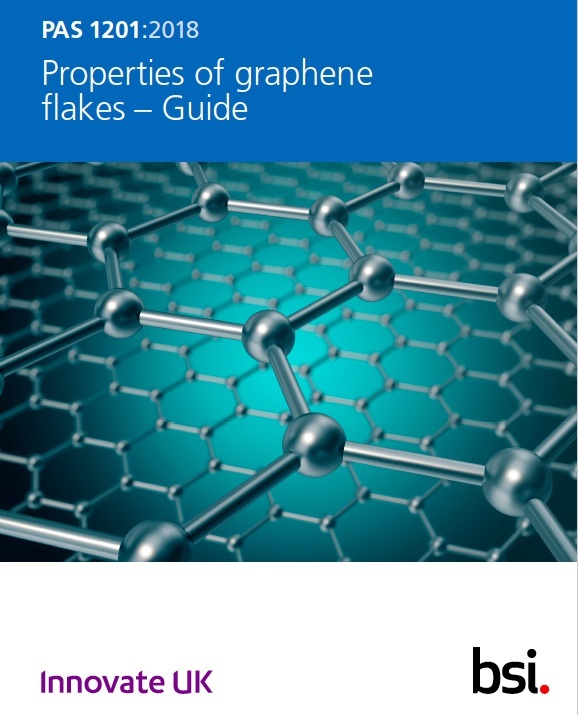 To that end, this PAS provides guidance on the information to be provided by producers and suppliers of graphene flakes in order to provide comparative information to prospective users. It includes characterization of particle morphology and other physical and chemical properties." The Graphene Council agrees with these sentiments and have found a similar need through its survey conducted in 2017 (see the above reference to The Graphene Council Survey on Graphene Characterization) although we advocate for a slight different set of material characteristics to be adopted by graphene producers.